Entries to the British Cheese Awards have reached an incredible level this year, attracting just short of 1000 exhibits from across the UK. 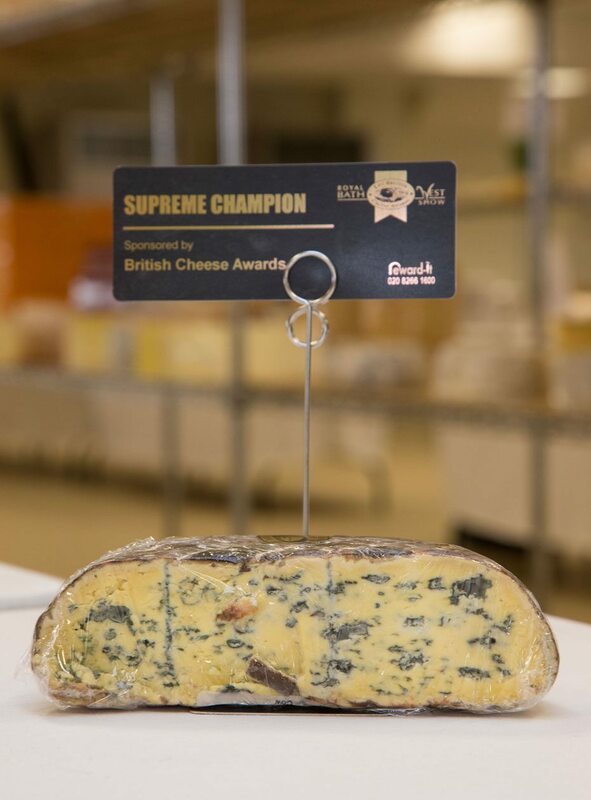 Celebrating its first year under the ownership of the Royal Bath & West Show, the awards continue to go from strength to strength, featuring a bewildering array of every type of British cheese as well as new classes for butter, yoghurt and ice cream. “We’re delighted with the success of the British Cheese Awards,” says Head of Shows Alan Lyons. “Here in Somerset we are at the heart of Cheddar country, but there are entries from 54 counties covering the length and breadth of the UK.” Competitors include last year’s supreme champion Two Hoots Cheese from Berkshire, Bluebell Falls Goats Cheese from Co Cork, the Isle of Man Creamery, Devenick Dairy from Aberdeenshire and Bodnant Welsh Food from Conwy. In the retailer classes, last year’s champion Marks & Spencer will battle it out with competitors like Asda, Aldi and Iceland. Entries range from mature Cheddars and goat’s cheeses to brie, blue cheese, reduced fat cheese and cottage cheese. In the dairy section judges will be savouring the likes of traditional clotted cream, sheep’s milk yoghurt and goat’s butter. On Thursday 2nd June, 10 contestants will be put through their paces in a bid to become British Cheesemonger of the Year. Tasks include a taste test to identify different cheeses, cutting and wrapping five different weights, and a Mastermind-style quiz. Visitors to the show need not miss out – with a brand new dedicated food and drink area showcasing some of the UK’s finest producers there will be plenty of culinary delights to sample on the day or take home for supper, adds Mr Lyons.